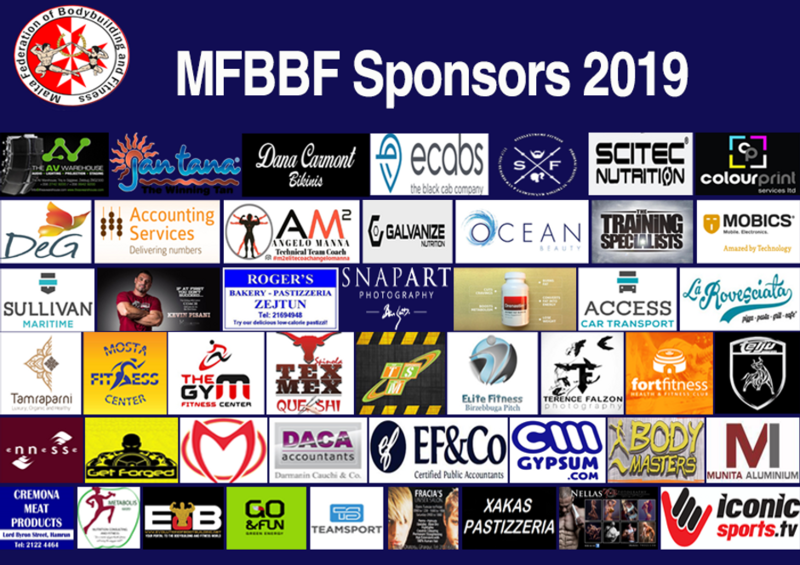 The Bodyfitness category was introduced by IFBB in 2002. At the time there were only two female categories, the Women's Fitness and Women's Bodybuilding, the original idea was to give the opportunity to compete to women who kept fit but could not perform the challenging routine of the Women's Fitness or did not want to build up muscle size to the level of Bodybuilding. The category proved so popular that it quickly became the most popular Women's category. The Bodyfitness athlete presents a more developed muscular physique than a Bikini Fitness athlete but not taken to an extreme level. The physique should be well proportioned in relation to the height of the athlete with a reduced amount of fat. Muscle separation may be visible but deep cuts are not necessary. The shoulders should be wide and torso taper down to a slim waist creating an eye-pleasing V-taper, the legs should be well defined but still maintaining a slim elegant appearance. The emphasis is on an elegant, feminine and athletic appearance. Competitors wear a two piece bikini, limited amount of jewellery and high heels. The Master of Ceremonies will introduce each competitor in numerical order, the athletes will be called one by one on stage to perform a T-walk. The athlete will then walk to the lineup at the back of the stage as instructed by the Stage Director. When all competitors have performed their T-walk, the Stage Director will instruct the athletes to line up at centre stage. Once lined up the athletes will be instructed to perform the quarter turns by the MC. The order of the athletes will be inverted and the quarter turns performed again. Should the judges require further comparisons the athletes will be instructed by the Stage Director to line up at the back of the stage until called out for further comparisons. Competitors wear an opaque two-piece bikini and high heels. 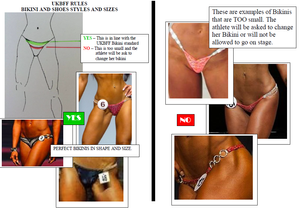 The colour, fabric, texture, ornamentation and style of the bikini as well as the colour and style of the high-heels will be left to the competitor’s discretion, except as indicated. The bikini bottom must cover a minimum of 1/2 of the gluteus maximus and all of the frontal area. 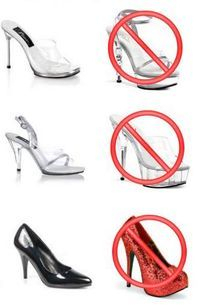 Shoes must have a sole thickness of up to 1 cm at the thickest point and stiletto height may be up to 12 cm. Platform shoes are not allowed. with a general impression of the physique, should take into consideration the hair, the overall athletic development of the musculature, the presentation of a balanced, proportionally and symmetrically developed physique, the condition of the skin and the skin tone, and the athlete’s ability to present herself with confidence, poise and grace. The physique will be assessed as to its level of overall muscle tone, achieved through athletic endeavours and diet. The muscle groups should have a round and firm appearance with a small amount of body fat, muscle separation should be visible. The physique should neither be excessively muscular nor excessively lean and should be free from deep muscle separation and/or striations. Physiques that are considered either too muscular or too lean for the category will be marked down. The assessment will also take into consideration the tightness and tone of the skin. The skin tone should be smooth and healthy in appearance and without cellulite. The attire, hair and makeup should complement the “Total Package” presented by the athlete. 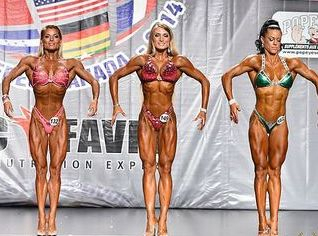 The judge’s assessment of the athlete’s physique includes the athlete’s entire presentation, from the moment she walks on stage until the moment she walks off the stage.